The beauty of origami is that, if you have the patience and know-how, you can fold almost any shape. This model is based on the pyramid-folding process published by Joel Stern. Make sure to use square origami paper, because it's light and thin and lends itself easily to creasing and thus making tidy, sturdy shapes. 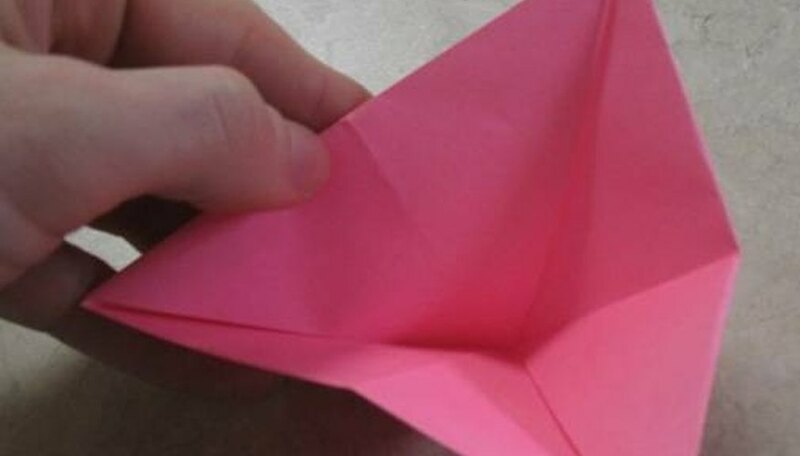 If you don't have origami paper, you can cut a square sheet out of other paper; just keep in mind that you'll need to be careful to make sharp creases as you fold. 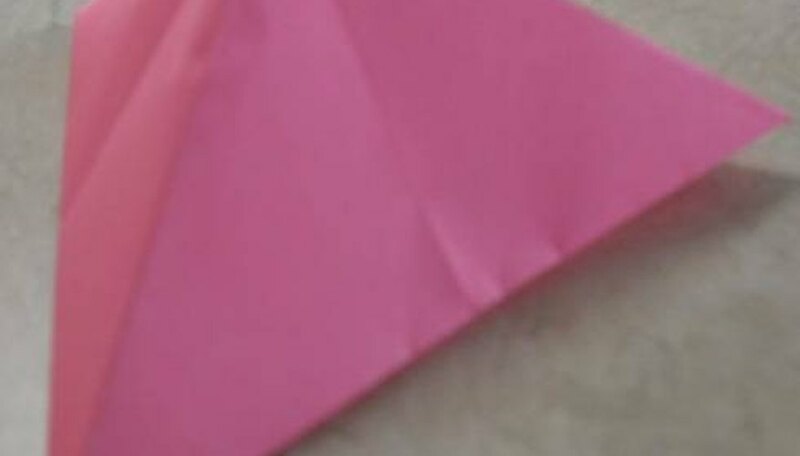 Start with a piece of square origami paper on the table in front of you, colored side up. 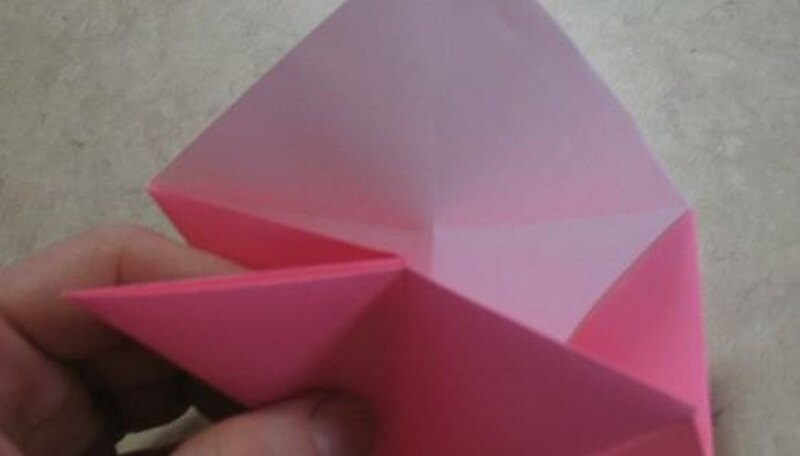 Fold one corner of the paper up to the opposite corner, creasing it on the diagonal, the unfold. Repeat with the other two corners, creasing on the opposite diagonal, and unfold. 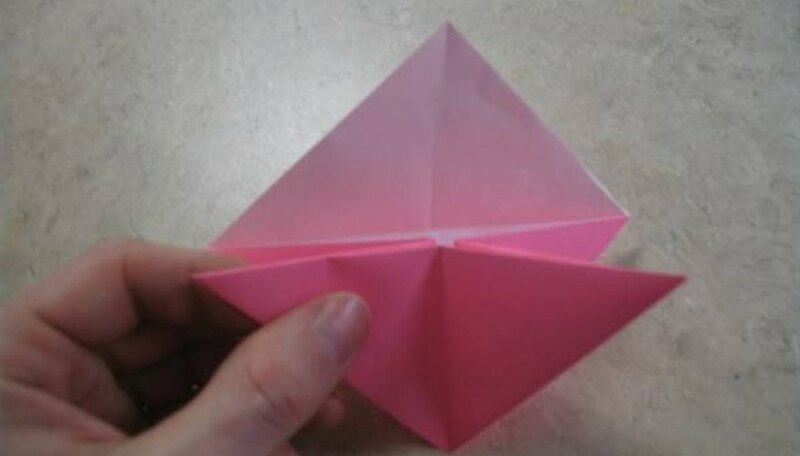 Flip the paper over and fold one edge to the other horizontally, crease, and unfold. Then make the vertical edge-to-edge fold, crease, and unfold. Fold each corner of the square in to the center where the lines cross. This time don't unfold. 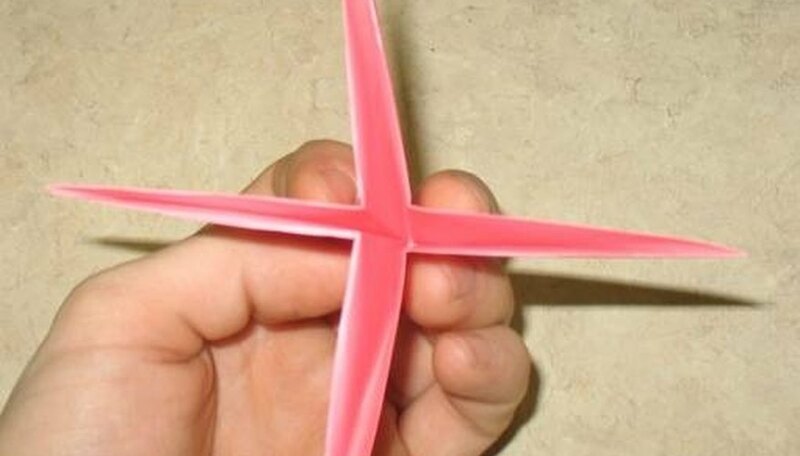 Bring the creased point in the middle of each side in together, forming a star shape. Fold the star shape into a flat triangle, with two points on each side. Unfold the flap trapped inside the back of the flat triangle. Pull out the tucked-in corner on the right side of the model. 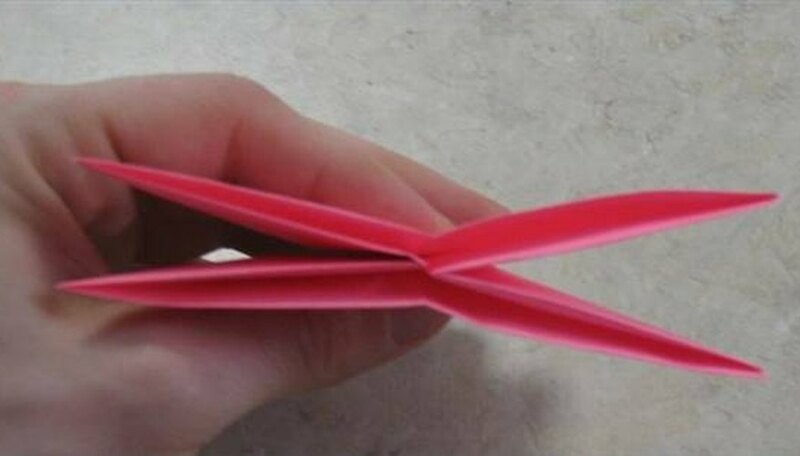 Pull the forward edge of the model toward you and tuck in the first flap you pulled out from the back of the triangle, just behind the front edge. It should fit all the way inside. Turn the model over and adjust until it sits flat.